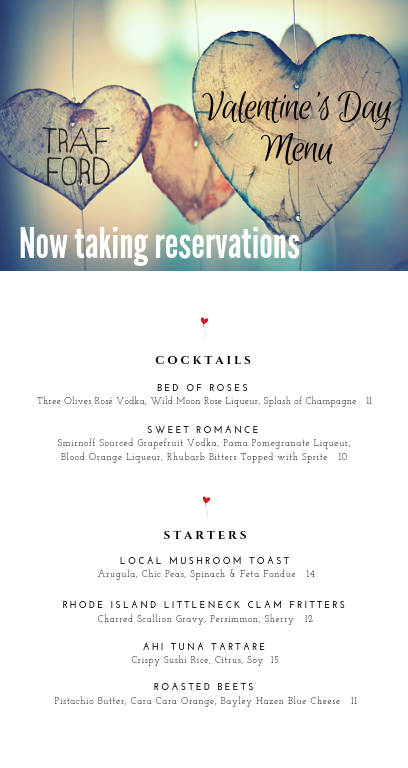 The 2019 Valentine’s menu is spectacular, the restaurant ambience is warm and romantic with glimmering candles and fresh roses at every table, and the night is nothing short of magical. Treat your sweetheart to a special evening of fine dining in casual elegance at Trafford. Make your memories by making your reservations today. Call 401-289-2265.